Wisdom only comes from one place, the only wise God. Jude 1:25 ~ To God our Savior, Who alone is wise, Be glory and majesty, Dominion and power, Both now and forever. Amen. Proverbs 4:7 ~ Wisdom is the principal thing; therefore get wisdom: and with all your getting get understanding. CONFESSION ~ I trust in you Lord with all my heart, and I do not lean on my own understanding. In all my ways I acknowledge you Lord, and I thank you for directing my path. Romans 12:2 ~ 2 And be not conformed to this world: but be ye transformed by the renewing of your mind, that ye may prove what is that good, and acceptable, and perfect, will of God. CONFESSION ~ I am not conformed to this world, but I am continually transformed by renewing of my mind to your word Lord, that I may prove what is your good, and acceptable, and perfect will. Psalm 138:8 ~ 8 The LORD will perfect that which concerns me: thy mercy, O LORD, endures for ever: forsake not the works of Your own hands. CONFESSION ~ Lord, because I am your child, and because of your great mercy, you watch after me and perfect that which concerns me, you will not forsake me, your mercy O Lord endures forever. John 14:26 ~ 26 But the Comforter, which is the Holy Ghost, whom the Father will send in my name, he shall teach you all things, and bring all things to your remembrance, whatsoever I have said unto you. CONFESSION ~ Father I thank you that you have sent the Holy Ghost to teach me all things, and bring all things that you have said to my remembrance. James 1:5 ~ If any of you lack wisdom, let him ask of God, that giveth to all men liberally, and upbraideth not; and it shall be given him. CONFESSION ~ Lord I ask you for wisdom. I ask in faith and I believe that I receive it. Thank you lord for the wisdom that you have given me. John 16:13 ~ However, when He, the Spirit of truth, has come, He will guide you into all truth; for He will not speak on His own authority, but whatever He hears He will speak; and He will tell you things to come. CONFESSION ~ I thank you Lord for the Holy Spirit that dwells in me, guiding me into all of your truth and showing me things to come. CONFESSION ~ Father, I declare that I have perfect knowledge of what to do in every situation and I am filled with all wisdom, spiritual understanding and the knowledge of Your will for me. James 1:2-8 ~ My brethren, count it all joy when you fall into various trials, 3 knowing that the testing of your faith produces patience. 4 But let patience have its perfect work, that you may be perfect and complete, lacking nothing. 5 If any of you lacks wisdom, let him ask of God, who gives to all liberally and without reproach, and it will be given to him. 6 But let him ask in faith, with no doubting, for he who doubts is like a wave of the sea driven and tossed by the wind. 7 For let not that man suppose that he will receive anything from the Lord; 8 he is a double-minded man, unstable in all his ways. CONFESSION ~ I count it all joy when I fall into various trials, knowing that the trying of my faith works patience. 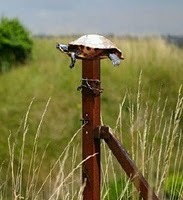 I let patience have its perfect work so that I may be mature, and complete, lacking nothing. Father, I ask You for wisdom to walk out the plans and purposes that You have for my life. I ask You for wisdom and understanding to walk in the authority and power that is mine in Christ. I ask in faith, not wavering or doubting. I am single minded in this pursuit and I am stable in all my ways. In this passage we see that faith is likened to the body, and works is likened to the spirit. It is making the point that spirit is what gives life to the body. The word “Works” simply means corresponding action that indicates that you actually believe. So the question is: How do I apply “works” or “spirit” to my faith to insure that my faith is a alive and capable of producing fruit? The answer is found in 2 Corinthians 4:13. There, we see that “self deception” again. Understand that bridling and taming are two different things. Your tongue IS untamed, and the implication in scripture is that it CAN’T be tamed. Are you bound by Legalism, and a Sin Consciousness? Legalism is a system of thought where rules, expectations and regulations promise God’s love in return for human effort and obedience. Legalism is an attempt by man to justify God’s Love. Under the cloak of Christianity, legalism offers salvation and God’s Love as a reward for performance. 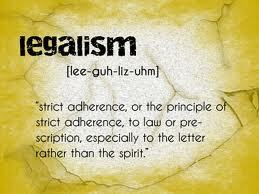 Legalism is a spiritually toxic virus, spread by religion, best treated by God’s unconditional and amazing grace. be that you have been going about living the Christian life all wrong? God desperately wants to set His people free from legalism. God loves legalists. He hates legalism. Could you be a legalist and not even know it? Why do Christians fall prey to performance-based religion? Are you convinced that God is mad at you and the only way you can make him happy is by being a better person? Are you convinced that your obedience and performance has some bearing on your salvation? Are you tired of trying harder because it seems that trying harder is never good enough? 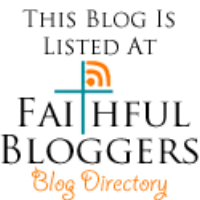 I purposely didn’t include any teaching on GRACE in this blog. That is covered in other teachings on this site. 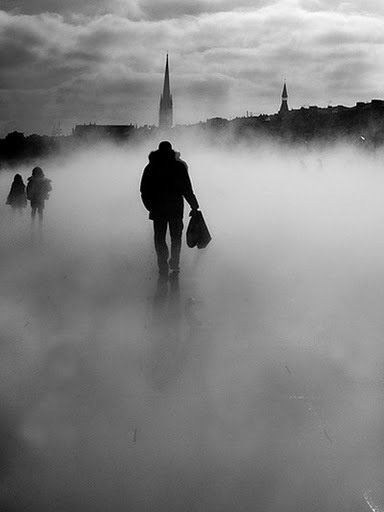 I think it important to first face the fact that WE ALL may be guilty of legalism to one degree or another. 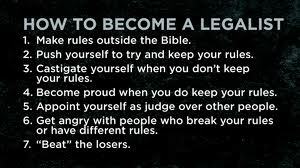 So, If you are brave, and prepared to be honest with yourself, take the Legalist test and see how you do. 1) God’s love for you depends on what you do, instead of who you are. 2) Meeting the expectations of others, especially those in your congregation or in positions of authority, are paramount. 3) You believe that if you don’t tithe, your other 90% will be cursed. 4) You try hard to obey God and it irritates you that others think they can get away with avoiding the same level of dedication and commitment that you have. 5) You fall short because you don’t have enough faith, or because you haven’t prayed enough, or because you just need to be a better person. 6) God is predisposed to be angry with you because you are a sinner and He knows that YOU know you can do better. 7) Your sense of spiritual well-being is tied to a Christian leader and their opinion, or membership in your church rather than a personal relationship with Jesus Christ. 8) You tell your children not to do something in church or around other Christian families that you allow in your home. 9) You believe that what people wear, hairstyles, piercings or tattoos, is a clear indication of that person’s spirituality and character. 10) After being around Christians for a while you feel drained because you are weary of putting up a false front. 11) When you happen to miss a service or activity of your church, even if it is a valid excuse, you feel guilty. 12) If your ability to receive a blessing from God, such as healing, depends on how you have been performing. 13) If you see Christ as more of a judge than a Savior. 14) If you believe God’s love for you depends on how much love you have shown Him. 15) If you know God’s law but not God Himself. 16) If you think you MUST take a Sabbath once a week. So, how did you do? Did you find some of these comments describing you? Legalism has been a danger to the church from the very start. it is addressed in the New Testament repeatedly and the book of Galatians is written, almost entirely, to address this point. We are all susceptible to legalism and we must ever guard ourselves from falling into this trap of wrong thinking. God’s love is unconditional. Christ has redeemed us from every curse of the law. We are to live a life of the Spirit. laying down our lives daily and taking up God’s agenda, being an instrument of righteousness and an expression of His image….Just like Jesus. This is the path to freedom from legalistic thinking. Freedom from legalism will only come from relationship with your Father. The greatest thing Jesus did was restore our ability to come before God without guilt or shame. He changed our identity from sinners, to sons and daughters. Some believers think that having a sin consciousness will help them avoid sin. If they think about their wrong doing, feel the shame of it, carry the guilt of it, then it will deter them from repeating those things. That is purely Legalistic, Old Covenant thinking. That didn’t even work in the Old Covenant. At best sin consciousness only leads to more sinning! What you focus on you move towards. What you are conscious of, and what you think about, is the reality you create. No wonder we struggle so much with sin. Our mind is constantly focused on it. Why don’t we try focusing on righteousness? On Christ’s perfect gift of righteousness that He has imputed to us. When we focus on righteousness, grace comes on the scene and moves us towards right living. 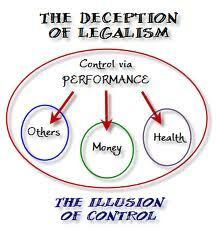 Legalism and a sin consciousness is a result of having a law based, legalistic mind. Romans 3 says that by the law is the knowledge of sin. When our mind is law based we will live sin conscious. The focus will be on our flesh, our ability, and our self. Being “self-focused” is in direct opposition to the love of God. We can’t overcome sin this way? Grace is the answer! 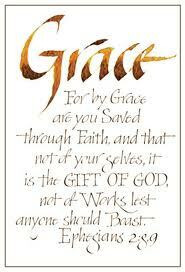 Grace is divine influence. As we focus on Christ we open the door for God to influence us. We place our heart on the great potter’s wheel and He gives it a spin, molding us and shaping us into His image. This is faith. This is how we walk in the Spirit and not fulfill the lusts of the flesh. This is how we make a draw on His ability Instead of struggling to overcome sin in our own strength. If we focus on relationship with Him, practice spending time with Him. Focus on how we can fill your hearts and minds with the word of God. That He has forgiven all our sins, past present and future. That He has made us perfectly righteous with His own righteousness and no sin can make us unrighteous. That He has brought you completely out of a law based relationship with Him and into a grace based relationship with Him. That His love and acceptance of us is not based on our performance but on Christ perfect performance on our behalf. That we have a new nature, God’s very own nature. That we are sons, not sinners. Our consciousness of Him, and His righteousness in us, will grow to a place that crushes our consciousness of sin and delivers us from legalistic thinking. Our focus should always be on relationship, not works. If we can learn to make that one adjustment, we will flourish in the Kingdom of God. Posted in free from sin, Righteousness, Sin conscious, Victorious Living! Before I was married I led bible studies and mens groups that had a diverse mix of denominations and beliefs and I was constantly challenged to examine what I believe and why I believe it. Sometimes it would serve to strengthen my belief, and sometimes I would be forced to change what I believe based on my new understanding of the Word of God. I think this is a healthy thing. I have come to love being around people who challenge my beliefs because it always points me back to the Word, and that is where all the answers are. I have said this many times, “If I am in a group of people who agree with every word I say, then I should probably find a new group.” Not that I am just naturally contrary, but I see the value of relationships that challenge me to be better, stronger, and clearer on what I believe. Over a period of 29 years I have been taught that it is God’s will for you to prosper. Over that same period of time I have been challenged just as much that the “Prosperity Message” is a false doctrine, a wrong emphasis, even a doctrine of devils. Because of this, I have continued to revisit the scriptures concerning prosperity and have come to the conclusion that people who resist the doctrine that God wants His people to prosper are completely ignorant of God’s Word concerning the matter. On the flip side, most Christians that are gung-ho about prosperity are equally as ignorant. I see both groups spending entirely too much time defending their position and not enough time pursuing the truth. So I have decided to put my 2cents worth in and I welcome any comments or insights… as long as you have scripture to back it up. Your personal opinion is meaningless if not founded on the word. So, Here we go! The Bible is absolutely LOADED with promises concerning financial and material blessings. Before I prove this with the scripture, let me say this: I understand the bad taste people get in their mouth when they see abuse in this area. 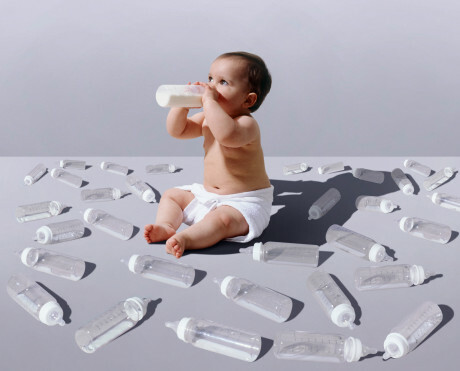 I also know that most Christians in the world never grow past being a spiritual toddler so they are very impressionable and easily influenced by others. They have swallowed the religious tradition and ignorant assumptions handed down by their leaders without question, without seeing what God has to say about the matter themselves. Furthermore, there is too much focus, from too many TV preachers on the topic of prosperity that are NOT teaching it the right way. Do yourself a favor, don’t take their word for it and don’t take my word for it, search the scriptures yourself. RICH ~ plouteō 1) to be rich, to have abundance. a) of outward possessions. 2) metaph. to be richly supplied. a) is affluent in resources so that he can give blessings of salvation to all. At the same time, it irks me to see so many televised preachers teach a twisted “prosperity message.” To every truth there is a road and there are ditches on each side. The predominant message on prosperity has the tendency to get people in the ditch of either excess, selfishness, and abuse, or the ditch of ignorance and avoidance. People need to find the truth for themselves so that they can stay on the road, not letting spiritually blind leaders guide them into one ditch or the other. He believes that if he had money everything would change, but money doesn’t change your character, it only serves to magnify it and make it more evident. Many Christians have this same mentality. They seek and pursue financial blessing far more than their own spiritual progress and live a life full of frustration and disappointment, always looking for blessings that never come. Look at a couple of verses and you will see God’s heart on this matter. That being said, just because you are a Christian doesn’t mean you have good character. Just because God has an inheritance for you does not mean He will give it to you knowing it will hurt you. He is a better father than that. You may be thinking of the prodigal son mentioned in Luke 15, how he asked for his inheritance, the father gave it to him, and then he wasted it and brought himself to total ruin. What you need to realize is, the son was a grown young man not a child. He was mature enough to leave home on his own. This is a warning to mature Christians. Posted in Being Led By The Spirit, Christianity, Faith, Giving, Hard Topics, Pastors and Leaders, prosperity, Religious COW Tipping!, Thoughts, Victorious Living!